Good thesis statements define your general idea and inform your audience about your main points. Hence, writing a thesis statement is a key to getting attention of the listeners and engaging them in thinking about your topic. Knowing how to write a thesis statement for a speech is a vital skill, as far as it predetermines the outcome of your speech. Will your listeners be interested in what you are talking about? Are they going to remember it? Is it going to influence their ideas? Consider these questions when you will be writing a speech for your next occasion. Writing a Good Thesis for a Speech: How Is It Different From Other Theses? When writing a speech, you mostly think of argumentative thesis statement. It has a lot in common with thesis statement for a research paper or argumentative essay thesis: you need to put forward your idea and add details, which are to demonstrate where your research or analysis is going to move. However, if a thesis for research paper has to be well-grounded and profound, the goal of thesis for a speech is different: it has to grab attention of your audience and get them involved in your topic. Argumentative speech is supposed to deal with proving certain point, which you consider to be controversial. Thus, in order to get a working thesis statement, you have to demonstrate why your topic is interesting, what is the reason for you to talk about it. As opposed to thesis statement for argumentative essay, thesis for argumentative speech should not just outline ideas you are going to handle but also make listeners stop fiddling with their smart phones and pay attention to what you are talking about. Make it catchy so that the audience get engaged into your topic from the very beginning. Provoke thoughts and discussions. Give people an opportunity to relate to your topic by including issues that occur in their lives. That will insure contact between you and your audience. As PapersMaster mentioned above, writing a thesis statement for your speech resembles creating a thesis statement for an essay. It might be a good idea to try using online essay writer in order to clarify a structure of a good thesis statement. 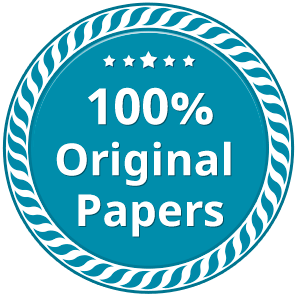 Automatic essay writer might not provide a perfect thesis for your particular case, nevertheless you can see what are the key ingredients that should be included into it. When you ask yourself a question: “ How do I write my thesis for a speech?”, try thinking about the greatest speeches you have ever heard. You might think of the famous “I have a dream” by Martin Luther King, or anything else you find powerful and inspiring. Try to understand what turns this words into a great force. Look into theses of these speeches and analyze why they appeal to so many hearts. All in all, use your heart and your brain, and the result will pleasantly surprise you.